Ask Keren Brown what she does for a living and she’ll tell you, “I’m a food entrepreneur.” Dig further, and you’ll learn she’s also the force behind the food-industry networking events known as “Foodportunity,” the voice behind the “Frantic Foodie” blog and author of the new “Food Lovers’ Guide to Seattle” (Globe Pequot Press, $14.95), an insider’s look at the very places I’d send you if you’d ask me where to find the best food in town. 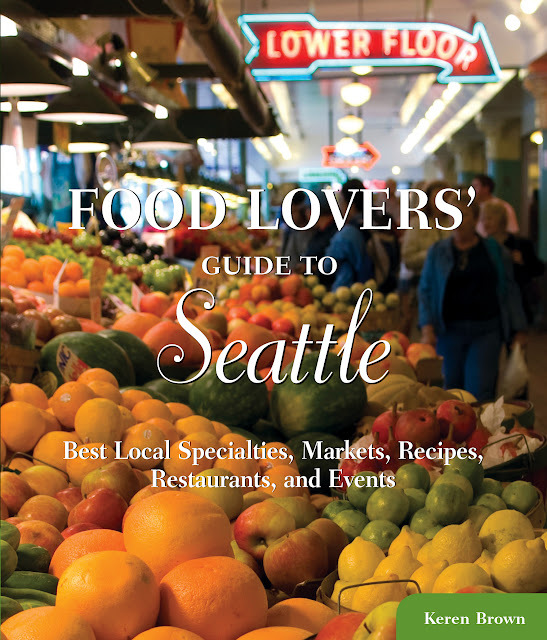 Her Food Lovers’ guide is so comprehensive — sharing everything from restaurants to road trips, specialty shops to food-focused events — I’d be quick to hand that compact paperback out to new arrivals the minute they hit the streets. It’s exactly the book Brown needed when she arrived here five years ago, knowing little about how to cook and nothing about the local food scene. 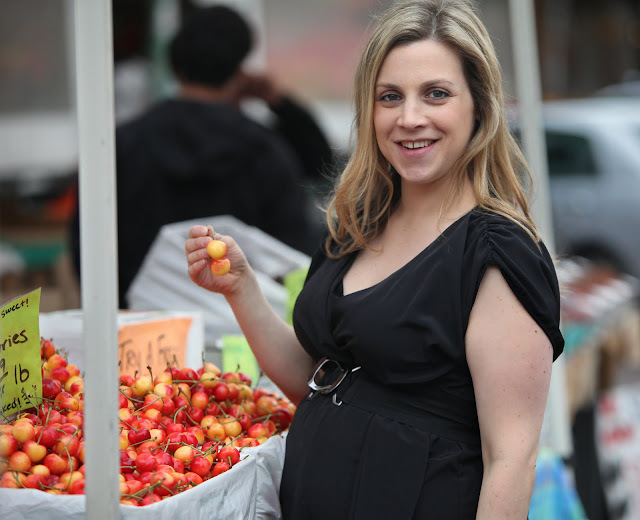 So, how did this 32-year-old Montreal native, who taught at a Berlitz language school in Israel during her 20s, go from naive newbie to Seattle food maven? That’s what I wanted to know. Q: You were raised on Chef Boyardee and boxed mac ‘n’ cheese, learned to appreciate local foods while living abroad and knew exactly one person when you arrived here: your husband. These days, you’re hosting hundreds of folks at sold-out Foodportunity events and impressing the folks at marthastewart.com, who dubbed you a 2010 “Doer of the Week.” OK Ms. Doer: How’d you do that? Q: Well, that makes you sound like one of those ladies of leisure. Were you? Cooking classes can be expensive. And so can attending food events, which, from the sound of things, you became obsessed with. A: It gets expensive after a while, so I started volunteering at those cooking classes, cleaning up. I’d cruise craigslist for volunteer opportunities — and end up frying bacon at food and wine shows, or serving fries at the Bastille Day Festival at Seattle Center. Q: OK, so volunteering at food events is a good way to meet like-minded food folks. But you’ve got ideas closer to home, right? A: Before moving to Queen Anne we lived in a Bellevue apartment complex with a community lounge and a kitchen. I’d hang out in the lounge with homemade cookies and talk to people, and put up fliers in the elevators and the lobby and invite them to cook together. We had potlucks, a Mexican food night-out and even did happy hour-crawls together. I’d also do cooking classes. I once did one for all the bachelors, with easy recipes to make for a date. Q: Eventually, you started writing about food as Seattle’s “Frantic Foodie” and through that, found yourself a network of friends you’d never actually met. But that would soon change. Discuss. A: With so many of us blogging about food, one day it occurred to me we should actually meet in person. The first time, about a dozen of us met for dinner at Quinn’s on Capitol Hill, and that was it: Those events changed everything. I’d started “networking,” but I had no idea I was networking. Q: So, clearly, all it takes is a little chutzpah and a lot of hard work, some homemade cookies and a blog, and soon you’re arranging tete-a-tetes with big names in the food world, holding Foodportunity noshfests where bloggers and other food-centric folks pay $30 to eat, meet and greet at the Palace Ballroom. Yeah, I’d call you a “foodie” — but are you really frantic? A: I have a lot of energy. Q: With a young son at home and twins on the way, you’re going to need that energy, sister. What kind of foodportunities do you hope your children will find growing up in Seattle? A: I see them loving food and not being judgmental about it. If they want to eat local, they’ll eat local. If you can’t afford to buy organic milk, you do what you can. I love to shop at farmers markets, but I don’t want my kids to think if they buy strawberries at the supermarket, that’s not OK.